This morning I was standing in the kitchen making coffee, and I looked out the window and saw that it was snowing. When it snows here in the South, we kinda make a big deal out of it. You see, we don’t get snow that often, and when we do, it is kind of a big deal. 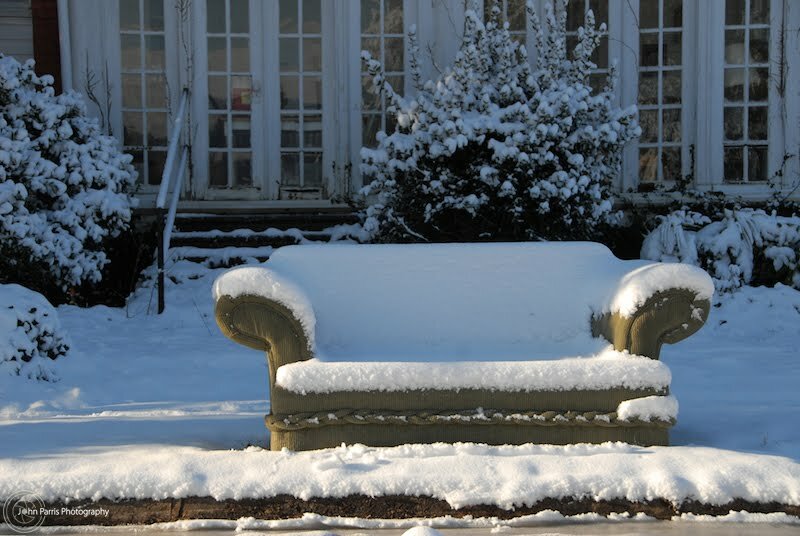 Have a seat and enjoy the snow. Since we don’t get snow that often, the states don’t have the capacity to keep the roads clear so that things will keep running as usual. It doesn’t make sense to invest millions in snow equipment if it only snows once every few years. That’s money the government would rather waste elsewhere. But we do have some capability to “deal with” the snow. We have salt and sand. We have trucks with plows. Not enough to keep things running at 100%, but enough to clear the main roads within a few hours or so. Then the rat race continues as if nothing happened. Every time it snows I hear people complain about it. They don’t like it when the roads are impassable. They don’t like it when they can’t get to work or they can’t get to the store. Normally, the snow we get is here one day and gone the next. This happened a couple weeks ago and I bet I heard a dozen people say “That’s the kind of snow I like. Here one day and gone the next”. What I really hear are people that choose commerce over family. The daily routine over special moments. Relieved that their routines weren’t disturbed for two days in a row. In this modern life, we’re always on the go. Always working on some task. Always chasing money. We say it’s for our families, but we say all sorts of things we don’t really mean. When given the chance to spend a day or two with our families, we get antsy and hope for the snow to melt so we can go out into the world chasing things again. We’ve been conditioned to crave this “pursuit of happiness”. We’ve lost our sense of wonder. We’ve lost our inner child. And we’re losing our souls. I guess it’s all about perspective. The people I know who live in places where it snows a lot view snow as a nuisance. You know the saying: Too much of a good thing can be bad. Well, I’m glad I don’t live where they do. They’re missing out on something special. When you live in the South where it really only snows once every couple of years, snow is something different. It’s magical. For a brief moment, the daily grind stops. Virtually all of the human noise stops. The world is quiet. Families are together. The world is a different place.